Microsoft this week released a Windows 10 Mobile build for Alcatel OneTouch Fierce XL. The Redmond, Washington-based company announced that Alcatel’s handset has become the first handset after Xiaomi’s Mi 4 and select Lumia handsets to support Windows 10 Mobile builds. It appears, the company plans to make Windows 10 Mobile builds for a number of other handsets including OnePlus 2, and Xiaomi’s recently launched Mi 5, according to a report. 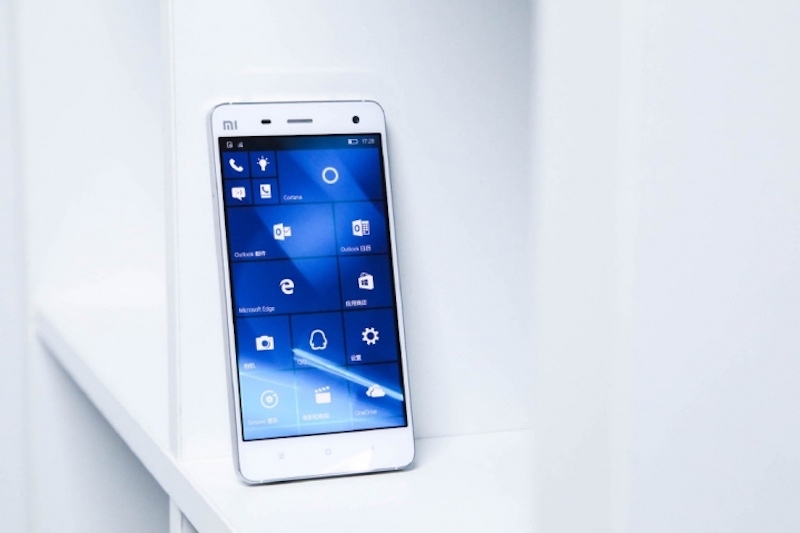 To recall, Microsoft partnered with Xiaomi last year to test Windows 10 Mobile on its 2014’s flagship smartphone, the Mi 4. Xiaomi tested Microsoft’s mobile operating system internally, and in December, made the ROM publicly available for any enthusiast with a China version of Xiaomi Mi 4 handset. As Microsoft curtails its effort in the device manufacturing business, it appears to be a smart move for the company to partner with Android manufacturers and give their users the option to try its mobile operating system without losing access to Android. What works for Microsoft is that it already hasmore than 70 Android OEM partners.